Ann Curry debuted a new, shorter hairstyle on NBC News on Friday – without informing the networks executives – in what has been called an act of defiance. Amidst criticism over Ann Curry’s physical appearance by her former Today bosses, the 56-year-old “just decided to cut it”, according to RadarOnline.com. “Ann was always told by her bosses that her hair had to be long, and she just didn’t like to wear it at that length,” a source revealed. Like many other networks, any NBC on air talent is required to notify management before changes are made to their physical appearance. But Ann Curry was often the victim of jokes at the hands of Today show executive producer Jim Bell, according to New York Times reporter Brian Selter‘s new book, Top Of The Morning: Inside the Cutthroat World of Morning TV. Brian Stelter reported that Jim Bell was an instigator to “a general meanness on set” toward the former Today co-host. In the months leading up to her teary-eyed departure from the morning show last summer, Ann Curry is said to have been “tortured”. 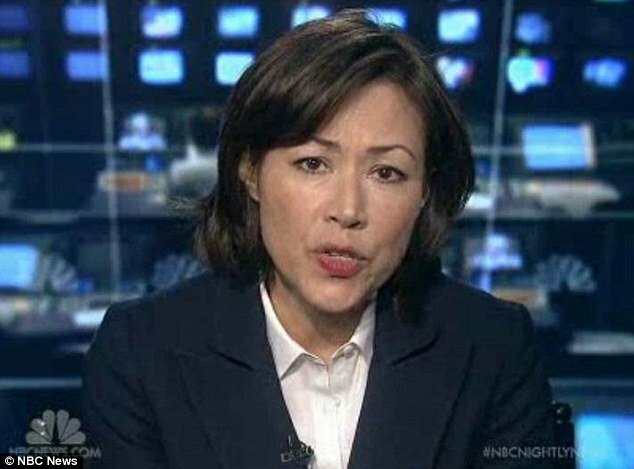 Ann Curry’s live report on NBC News was her first appearance on air in nine months, where she was covering the capture of Boston marathon bomber, Dzhokhar Tsarnaev, on Friday evening.